Quinquinas. These under-appreciated, herbal, bitter wine-based drinks might seem a little dowdy, but they pack a lot of flavour. 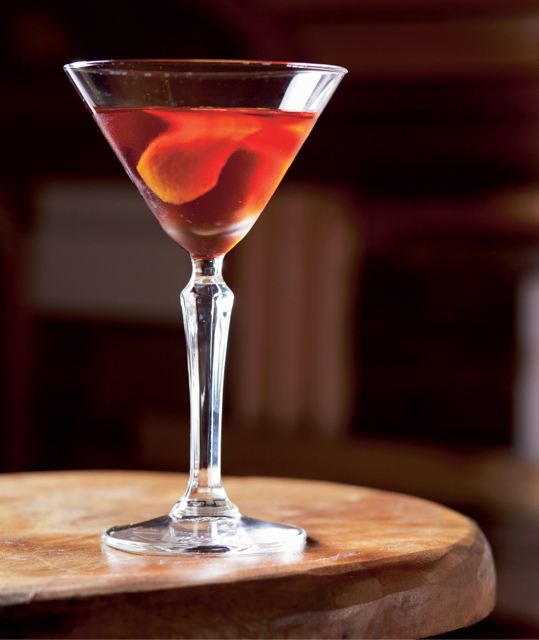 Oh, and they are downright delicious when mixed, like in this Dubonnet Cocktail. The Manhattan Cocktail Classic is on again this year (May 17—21 2013); those keen on going ought to set an alarm, as tickets for the event go on sale Friday March 15th at 12pm EDT in the US (which is 3am Saturday 16th AEST). The ‘Lady Pink’ has been created by the Merivale Group and will be available throughout October at Sand Bar (Slip Inn), Hemmesphere, The Den, The Lounge, Gin Garden and Pool Club. The cocktail will be available for $17, with a donation of $5 from each cocktail going to charity. Props to the Merivale Group for making cocktails for a good cause. Sebastian Says… How ‘bout some Shrubbery? Let me say first off, to save a flood of corrective comments, that yes, I know a gin and tonic is not technically a cocktail. At least it isn’t when served in a glass, but what if it is atomised and suspended as a cloud in a tiny room and inhaled by intrepid cocktailians in boiler suits?